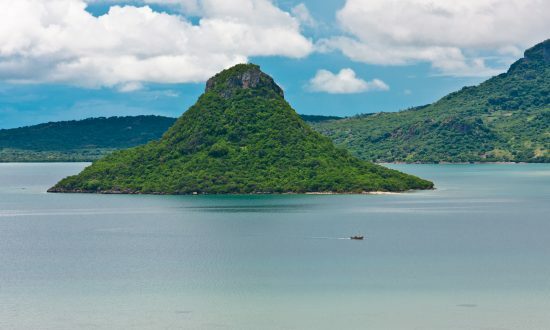 Madagascar is known as “Treasure Island” due to its landscape diversity, including the Radama and Mitsio archipelagos, beautiful seas and geological curiosities.It’s also home to a myriad of flora, fauna and wildlife, such as whale sharks and humpback whales. Located in the Indian Ocean, off the coast of Africa, Madagascar showcases influences from cultures all around the world, particularly, France. Its 5,000km of coastline offer unspoiled waters, perfect for a Madagascar yacht charter with great spots for scuba diving and snorkeling. Nosy Be is the ideal starting point for an unforgettable cruise with powdery, white sandy beaches and coral islets to explore. The island’s diversity is one of its biggest attractions with contrasting environments of rich vegetation and beautiful beaches offering much to explore. Visit some of the island’s national parks and nature reserves, such as Andasibe-Mantadia, or discover its cheeky lemur inhabitants. These ring-tailed monkeys are native to the island and will greet you as soon as you go ashore in Nosy Iranja. For marine life, visit Nosy Kalakojoro where leopard sharks swim through the pass then move on to the sheltered anchorages of Baie des Russes (also known as Russian Bay), where you can see humpback whales (at the right time of year), manta rays and dolphins. 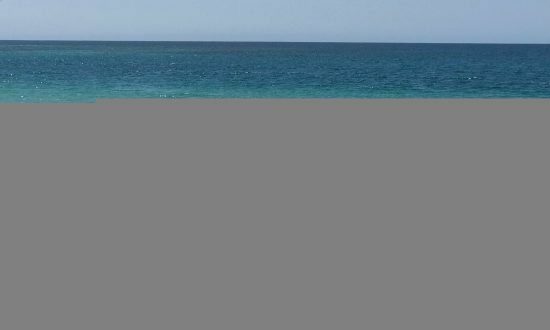 With all these riches, it’s no surprise that Madagascar has often been referred to as the fourth continent and promises you a spectacular sailing experience. 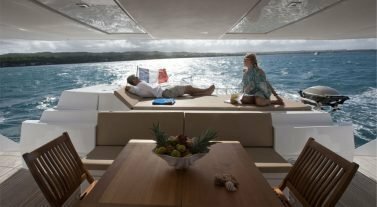 Dream Yacht Charter in Madagascar: Choose from our bareboat fleet from our base in Nosy Be our fully crewed Lagoon 620, Reve2Mer, for an all-inclusive experience. If you need help planning your charter, check out our inspirational itineraries or get in touch with our team to find out more. The time difference in Madagascar is Coordinated Universal Time (UTC) +3 hours. US citizens need a passport valid beyond their departure date with at least one page free for visa stamps and a valid visa. You will need to show return flight tickets and that you have sufficient funds for your stay. Talk to us to make sure you have the correct documents before you travel. French is the local language and getting around can be challenging if you can’t speak the local language. You can ride the public bus between towns, which is a cheap way to travel, but it is easier to rent a car to explore the main cities and parks although you may be required to hire a driver as well. There are no bus schedules and operation is unreliable as the bus will leave when it is full. Public transport to the airport works on the same basis, so talk to us about arranging transfers on your behalf. The currency is the Malagasy Ariary. Visa and MasterCard are accepted in some areas but it is recommended you carry cash. All ATMs dispense Malagasy Ariary. Banks are available in the main cities and are open Monday to Saturday (8am to 5pm). Travelers checks are not accepted in Madagascar. You will find Wi-Fi hotspots in bars and restaurants that are strong enough to send and receive basic emails but you may struggle with Skype and FaceTime. The local 3G and mobile network is generally very good. A local sim card with 1GB of data can be purchased for approximately Ar25,000 (around $7). Temperatures in Madagascar are tropical and warm year-round with midday temperatures averaging 85ºF. The winter months are between April and October and are cooler, while the summer months from November to March are hot with variable rainfall and possible monsoons. The best times to visit are between January and March. The south of the island sees the least rain. 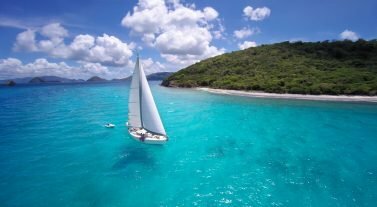 Sailing conditions in Madagascar: From October to July, there is an easterly blowing Varatraz wind in the mornings and the westerly Talo wind in the afternoons. From August to September, the Varatraz is dominant throughout the day but is strongest during the afternoon when it can reach 45 knots.. There are two tides each day, from 30cm to 4.5m between high tide and low tide. Plan your magical Madagascan sailing adventure with our inspirational itinerary below, from lemur encounters to hiking through the rich vegetation. Day 1: Nosy Be to Nosy – Tanikely – Mamoko – Arrive in Nosy Be at noon to provision and acquaint yourself with the boat. Set sail for Nosy Tanikely where you can go ashore and visit the island’s national park. Enjoy swimming and snorkeling with sea turtles and various species of colorful fish. 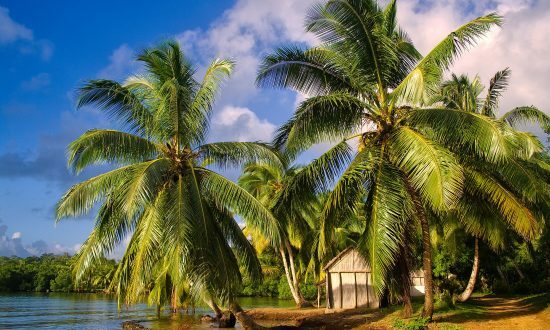 Head to Mamoke, a small island which is home to a village built on an old colonial mansion where giant tortoises stroll slowly through the rainforest. Day 2: Mamoke – Baie des Russes – A short sail from Mamoke, you’ll arrive at the quiet anchorage of Baie des Russes, or Russian Bay. The tranquil setting makes for the perfect place to anchor and explore the coconut tree-lined island. 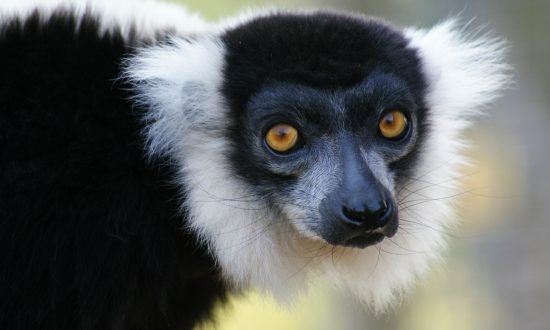 The island’s wildlife is vast with wild pigs, lemurs and one of the rarest raptors in the world, the Pygargue Madagascar, all there to experience. Enjoy a barbecue on the white sandy beaches with fellow sailors. Day 3: Baie des Russes – Nosy Iranja – Just 15nm from Baie des Russes you’ll find yourself at Nosy Iranja, affectionately known as ‘Turtle Island’. This private remote island is home to a hawksbill turtle breeding reserve where visitors can witness the endangered turtles come ashore to lay eggs. Be greeted by the local, friendly lemurs before taking some time to enjoy scuba diving where the underwater sites are excellently preserved and lush corals are home to an extensive range of fish and other marine life. You may be lucky enough to see dolphins and whales too. Discover traditional Madagascan cuisine at the Nosy Iranja Lodge. Be sure to request permission to go ashore before arriving. Day 4: Nosy Iranja – Nosy Kalakajoro – Continue sailing the Radama archipelago with a visit to Nosy Kalakajoro, popular with sailors for its unspoiled beaches and clear waters that are perfect for snorkeling and swimming. For keen scuba divers, head out on an organised dive of the island’s ‘drop offs’ where you’ll come into contact with some amazing marine life including rays, grouper and leopard sharks. Day 5: Nosy Kalakajoro – Nosy Ovy – Nosy Antanimora – Head to Nosy Ovy, part of the Radama archipelago. Take a trip inland to see the Mahabo royal tombs, perched on the hilltop and hike through the rainforest, taking in the rich flora and fauna and perhaps visit a coffee plantation. The azure waters surrounding the island are great for a spot of snorkeling before heading towards Nosy Anatanimora, where you can moor overnight. Here, you can see locals fishing and stroll through the mesmerizing sand lagoon. Take a trip to one of the local food outlets where you can try the fish caught by the fisherman and enjoy true Madagascan hospitality. Day 6: Nosy Antanimora – Baramahamay – Depart Nosy Antanimora and head for Baramahamsy Bay, 27nm away. This splendid river is surrounded by hills, lush mangroves, tiny beaches and fertile coconut trees. The waters offer reef and ambient scuba diving where you can see a range of colorful sea life. Visit the village of Marohariva where locals are friendly and enjoy trading freshly caught fish with the sailors who visit there. Enjoy a barbecue on the beach with fellow mariners, all cooking up fresh fish and delicious mud crabs caught just hours before from the verdant sea and mangroves. Moor overnight. Day 7: Baramahamay – Nosy Be – Return to base. Our Madagascar base manager will be pleased to welcome you on arrival at our base in Nosy Be. 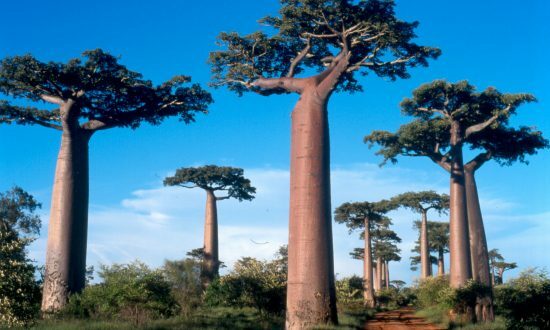 You can fly via Charles de Gaulle Airport (CDG) to Madagascar’s main Antananarivo Airport (TNR) and get a connecting flight with Air Madagascar to Nosy Be Fascene Airport (NOS). It’s a 45-minute taxi transfer to the marina. You can also fly via European cities, such as Paris and Rome, to Nosy Be Fascene Airport (NOS) with a stopover on the way. We can arrange airport transfers on request. Make sure your passport is in date and valid for the duration of your stay and look under our Handy Info section for visa advice!